The Cove Partners : With a single call, the Cove Partners will work together to give your pets the custom care they need and give you the peace of mind you deserve. 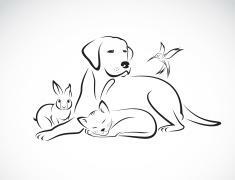 The Cove Partners work together to provide a holistic approach to your family's pet care needs. The partners collaborate to offer a custom pet care experience that focuses on what your pet needs, all with just one simple phone call. Call 415.388.0104 to learn how we can help you.